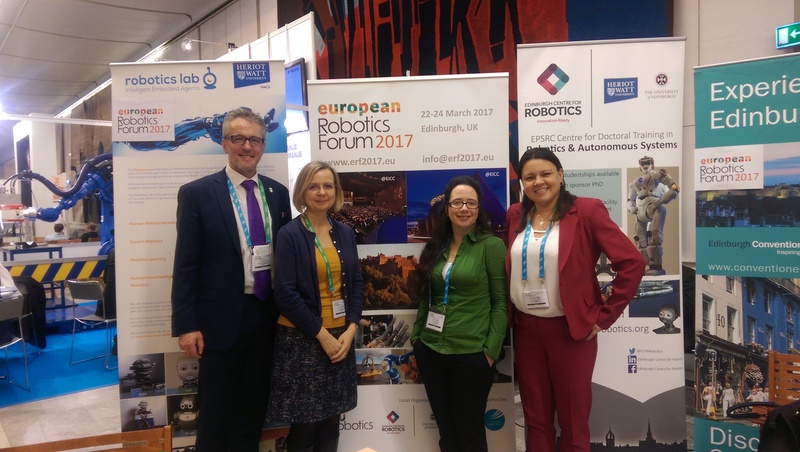 Professor David Lane, Dr Patricia Vargas, Dr Frank Broz, Dr Suphi Erden, and Anne Murphy from Edinburgh Centre for Robotics attended and manned a stand at ERF 2016, in Ljubljana, Slovenia, from 21st to 23rd March. 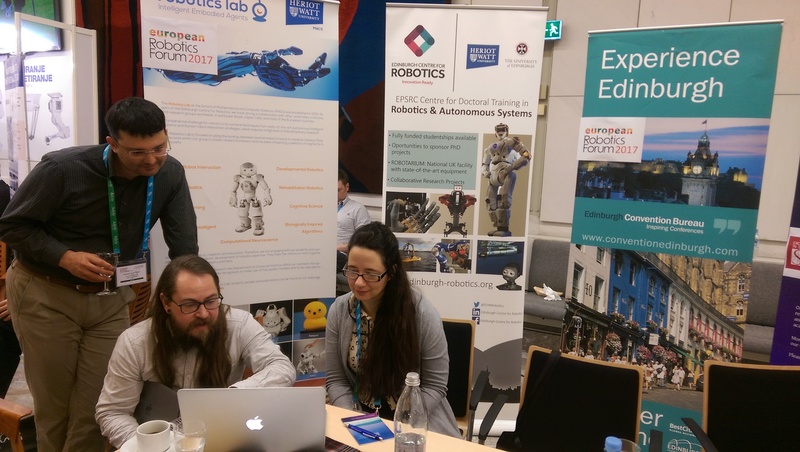 The European Robotics Forum is a three-day event that serves as a meeting point for researchers, engineers, entrepreneurs and business people. It is organised mainly by EU Robotics, a Brussels-based international non-profit association for all stakeholders in European robotics.